Cracking Detroit house by the prodigious Jay Daniel. 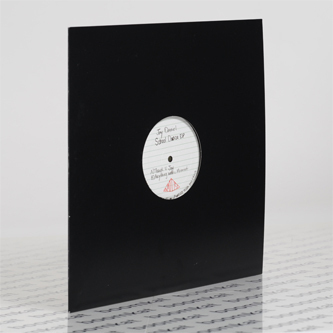 His 4th 12" since debuting in 2012 on Sound Signature, the 'School Dance' EP for his own label, Watusi High, positions him as a potential usurper of Omar-S's raw soul crown with the lip-bitingly strong kick/snare snap and loose, space-headed synth progression of 'Thank U Jay' up top, whereas 'Anything with a Moonroof' gets down with a more grizzled aesthetic on the flip, all blunted bass wiggle and woozy chords smudged just outta reach. TIP!